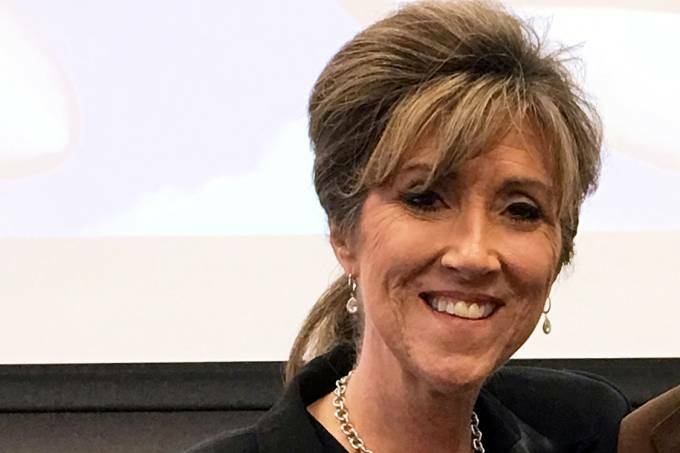 The pilot Tammie Jo Shults is considered a heroine of "nerves of steel" for having carried out the emergency landing of the Southwest Airlines plane last Tuesday, after one of the engines of the plane exploded and one of the Windows hit by shrapnel broke. The passenger who was near the broken window, Jennifer Riordan, a finance Executive of 43 years, had part of his body sucked out of the aircraft and died. Seven people were injured in the accident. The flight of 1380 WN LaGuardia Airport in New York City, Dallas, Texas, with 143 passengers on board and 5 Commissioners. According to the flight, Tammie remained calm during landing and after landing he personally to know if were right. "She has nerves of steel," said Alfred Tumlinson to Associated Press News Agency. "That woman, I applaud you. I'm sending her a Christmas card. With a gift for getting me into the ground. She was sensational. " "Tammie Jo Has, the pilot came back to talk to each one of us personally. This is a true American hero, "wrote Diana McBride Self, who was also on the flight, in a posting on Facebook. "A big thank you for your knowledge, guidance and bravery in a traumatic situation." The tranquility of Shults can be proven by the tone of your voice on the record of your communication with the control tower of the airport, when she reported the accident. The 56-year-old pilot graduated in biology and agribusiness in 1983. Then he enlisted in the Navy, where he became one of the first women to be military pilots in the United States. Passengers on the plane reported moments of panic and fear during the emergency landing. During the engine explosion, could hear a loud bang and the plane began to shake violently. Debris flew down the Hall when the window broke and the oxygen masks fell from the ceiling. "I felt as if the plane were in free fall. Of course, everyone was in panic, everyone was in tears. It was the most frightening experience for which I've been, "said passenger Marty Martinez on CBS News. Martinez was able to enter the information of your credit card, access the Wi-Fi on flight and do a live stream by Facebook, showing him and other passengers wearing oxygen masks after the explosion. "I literally bought Wi-Fi while the plane went down because I wanted to get to the people I love, I thought these were my final moments on Earth," he wrote on Facebook. So Jennifer Riordan was sucked out of the window of the plane, two passengers were able to pull her inside. "They seemed like two minutes and seemed 2 hours", said Tim McGinty, farmer who helped the woman, told reporters. A retired nurse and a firefighter did CPR on Jennifer for about 20 minutes, until the plane lands. However, the mother of two sons of Albuquerque, New Mexico, did not survive.